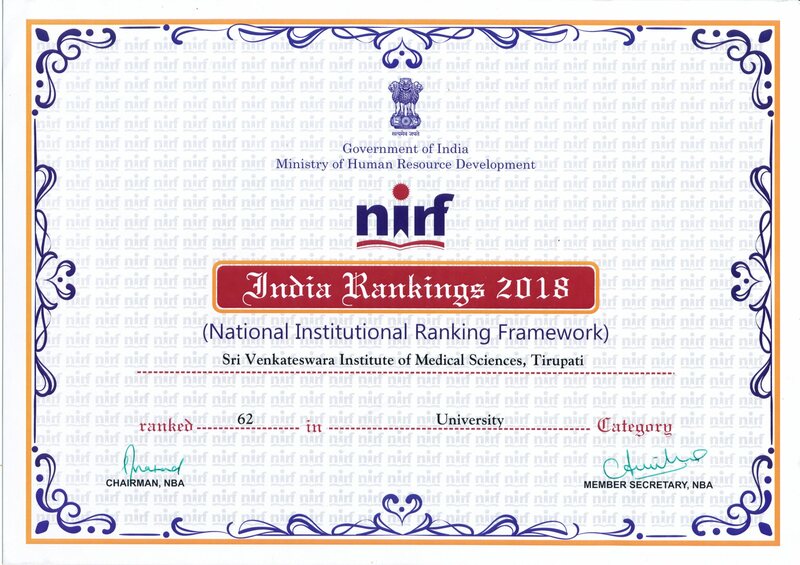 Following is the data submitted to NIRF for the year 2018 ranking at All India level. With some amendments to this data suggested by NIRF team is still awaiting for incorporation. If there is any suggestion/ objection to the data displayed, kindly send the same to the following e-mail: svimsnirf@gmail.com for further action. 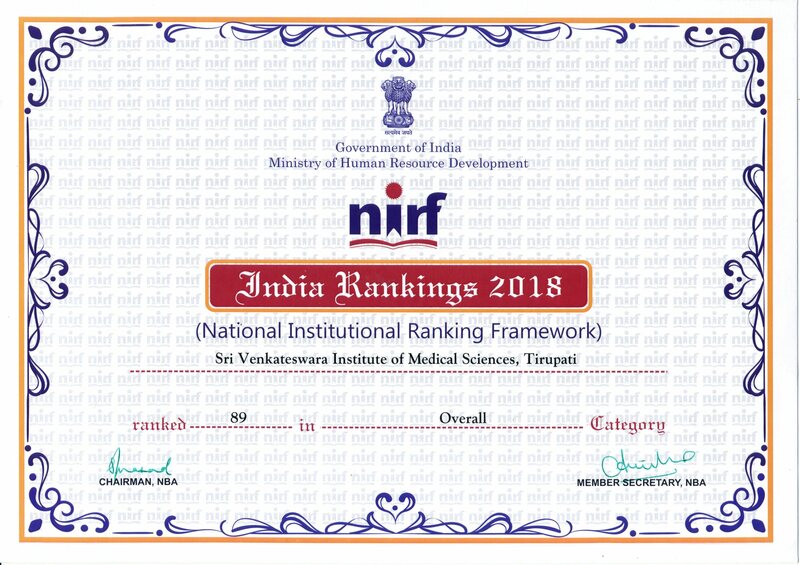 In 2018, Sri Venkateswara Institute of Medical Sciences, (a university is established by Govt. of A.P), Tirupati was ranked amongst the top 100 Higher Education Institutions in India, Ranked 62nd among Universities.